Hair density is the most important factor determining the outcome of the hair transplant in delhi. Hair density is the count of hairs transplanted per cm square area of the scalp. The recommended hair density to be given during hair transplant in delhi is around 100 hair follicle per centimeter square. The more you give hair density to your patient the better will be the results. Among the various means of giving the hair density, the most commonly used path to achieve a good hair density is by doing hair transplant 2-3 times keeping a gap of 3-6 months between each procedure. The advantages of this path for the Hair Transplant Team are: easier to perform, less time consuming, less tiring and financially more viable. Though beneficially for the Hair Transplant Surgeon, this method has few disadvantages for the patient which are: longer downtime (the time taken to get the final desired results), loss of working days, discomfort of going through the same procedure again and again, more chances of scarring and finally cost escalation. Each time the patient is posted for hair transplant the cost of everything except the hair follicle price gets escalated. And the rest of these things can amount to 30-50% or more of your hair transplant cost. The number of work days lost also increases and in today’s hectic life it is very difficult to take out one day from our busy calendar, how to manage 2-3 days of holidays. The downtime for one time hair transplant varies from 9-12 months and for multiple sitting it easily reaches up to 24 months. Most of us don’t have time of two years to wait for hair transplant benefits. Specially for the young men who are planning to get married. Every time we take out hair follicles from the donor area we are causing injury to the skin. We Plastic Surgeon know that repeated trauma to an area increases the chances of scar complications like; scarring, wider scar, hyper-pigmented patches or hypo-pigmented area, hypertrophic scar and keloid formation. The dictum we follow is not to subject the tissue to repeated trauma and in case one has no other option then let the tissue recovery fully from the earlier insult. We at Hair Science Centre follow the more difficult route to achieve the desired hair density to give maximum benefit to our patients. We give maximum hair density to our patients in the single sitting. The hair density which we give in a single procedure is the maximum which can be achieved even by 2-3 sittings of hair transplant by most other centers. 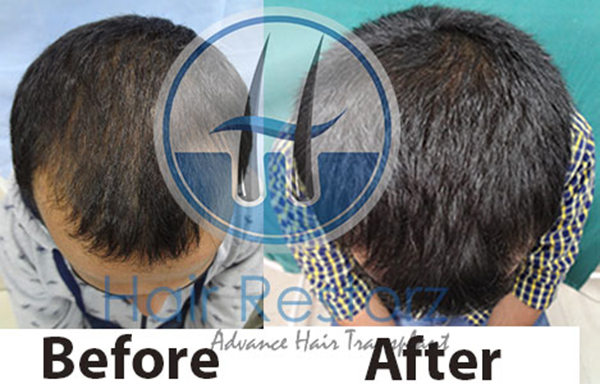 This makes the hair transplant procedure most affordable and convenient for the patients. This also reduces the downtime to get the final results. How do we do this? We are able to do this because Our Priority is To Give Maximum Benefit To The Patient. We at Hair Science Centre are a dedicated team of experts who work hard for our patients. Our Philosophy is Patient First. We have long time experience and have improvised the existing techniques to give best results to our patients. Our speed, quality of work and results are unmatched in the Hair Transplant industry.